How To Fix A Leaking Basin? You can tell that our sink has sprung a leak from water soaked floors cabinets or puddles on the floor. A sink can leak either from the pipe, damage to the actual sink or it could be caused by old and worn out joints and rubber seals. You can only know what you need to do if you know where the leak is coming from. This means you might have to go down and under your sink to investigate. If the problem has to do with rubber seals you can test by filling the sink up with water and letting it stand. If the water level goes down then you have problems with your seals. 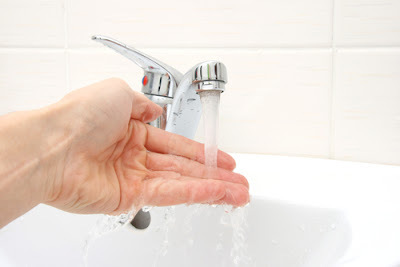 In order to repair that area where water is leaking through, you need to switch off the water supply. Stopping the water helps you to work without water getting in the way or spilling on you as you work. Find the water supply resource for your specific area or switch off the entire water main. Electricity on the other hand should be switched off for obvious reasons, to avoid electrocution. Make sure that you can get access to parts in order to examine them for any signs of wear and tear so you can address the problems that you see with your very own eyes and this will help you in getting the right tools for the job and help you get to the actual root. Dismantling the sink also help in determining the state of disrepair. You may also find something that is broken. Plumbing fixtures have strange names so if you need to go to the hardware shop to get a part for the repair, you will save yourself the time and aggravation by taking the part to the hardware store with you. 5. Replace damaged and worn-out parts. If you plan to handle your domestic problems on your own, you might need more than just a crash course on how to use a monkey-ranch, or unscrew a coupling. Putting things together in the wrong way can make the problem worse or even create problem, so if you are not sure ask an expert plumber. Sometimes big problems require small solutions. Not every leaky kitchen sink requires an overhaul; sometimes it’s a matter of unclogging dirt from the pipes or cleaning your sink. 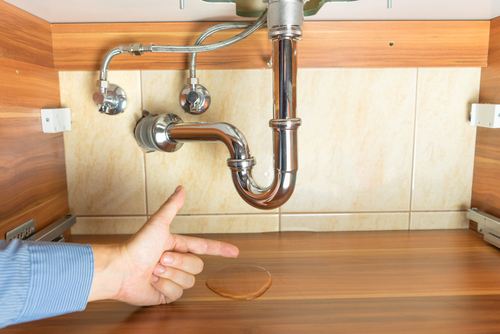 A leaky sink could be caused by the fact that the flow of fluids in your pipes has been affected by dirt and grease that may have been accumulating in parts. To clean a clogged skin you might require more than just a once over with normal cleaning solutions. Some blockages need industrial solutions. It is always helpful to have Sodium Hydroxide handy. It is known in plumbing circles as the granddaddy of all sink-cleaning requirements. Assuming that you took note of where certain parts came from and how they were connected to each other, you should find it easy to replace parts where you unscrewed them from if you create an improvised map with markings will help navigate your way as you put things back to their original place. If you have done these seven things then the leak should be fixed or there should at least be some marked improvement. There are a lot of DIY enthusiasts who believe in doing things for themselves, not because they are thrifty but because they genuinely enjoy tinkering. 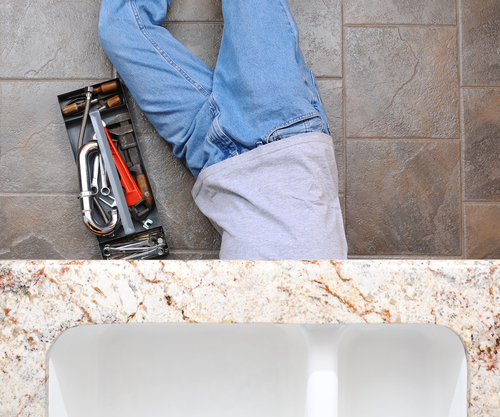 Repairing a leaking sink goes beyond mere tinkering. If done right, you will have saved money and the aggravation of letting some stranger into your home. Tinkering can also have unintended consequences like a genuine interest in plumbing in which case, you should learn as much as you need to. For fathers, family men or the men of the house, there is no shame in telling people you know next to nothing about plumbing in which case you should look for a plumber. At this point you need to be sure whether your problem necessitates you contracting of a full service professional plumber or a “jack of all trades” kind of handy man. Handy men are generally cheaper and can be found in the yellow pages. Handymen do not specialize in one particular thing. If you decide on getting a handyman make sure that they are known for their plumbing work more than they are known for anything else. It is important to treat your leaking sink problem as quickly as possible because if you let it go on them they can cause complications. These seven steps are the ultimate basic things you can do. They avoid the complicated nick forgo the nitty-gritty that professional plumbers have to go through. Following these steps and taking time to research what it is you need to deal with sink leakages shows that you love your home enough to want to learn the basic things to keep things running smoothly. If you do chose to go to a professional plumber, you should chose one that offers free inspections and quotes. You will be amazed at how many companies are willing to inspect your problems for free with no strings attached.